Nizhniy Novgorod region - Kstovo – July, 19, 2013 - RusVinyl LLC has concluded two contracts to supply the integrated PVC complex located in Kstovo of the Nizhniy Novgorod region with halite. At the end of April RusVinyl signed a long-term salt supply agreement with Russalt LLC, and in June with Belaruskali JSC. 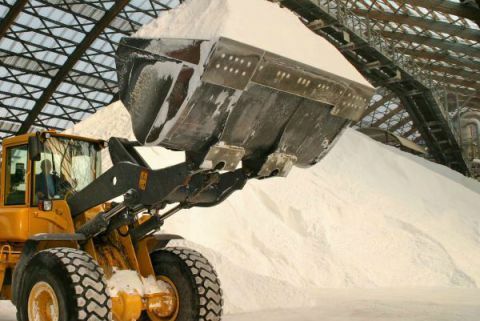 Under the terms and conditions of the contract, starting from 2014 common salt will be supplied from the Baskunchakskiy salt deposit in the Akhtubinsk district of the Astrakhan region and from the Starobinsky deposit of Soligorsk, Belorussia. Russalt LLC and Belaruskali JSC will fully cover the salt needs of RusVinyl plant. Salt is expected to be delivered on RusVinyl production site using water and rail transport. Salt is one of the main raw materials in PVC production cycle. The product is used to prepare salt brine, which after being cleaned and filtered, goes to a membrane electrolysis unit where under electrical action chlorine gas, fully used at the next production stage, hydrogen and caustic soda solution are synthesized.